Three very different novellas with autobiographical elements in common. These three novellas aren’t among [Harrison's] very best, but they vigorously reassert his distinctive obsessions and his distinctive voice. No one writes more persuasively about the natural world, the ways of animals both wild and domestic, rural roughneck mores, hunting and fishing, food, drinking, the writing life and, of course, male lust: reflexive, resistless, defiantly unfashionable. 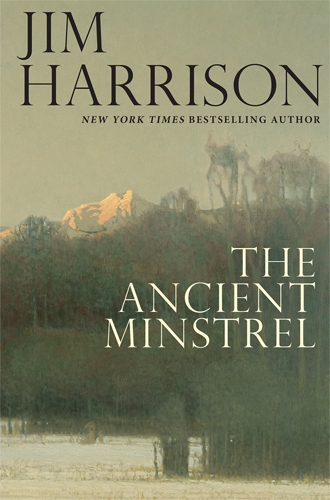 The Ancient Minstrel, Harrison’s latest collection, reminds us that there is perhaps no other writer as comfortable with the novella as this prolific 78-year-old. At their best, his tales possess the hypnotic grace and momentum of a long-distance, freestyle swimmer, pages cleaving away like armstrokes. 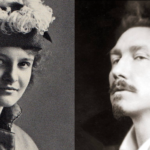 Memoir in general has always been a pretty slippery genre, and whether the narrator of The Ancient Minstrel is the real Jim Harrison or some carefully constructed performance might just be a distinction without a difference. Whoever he is, he tells a fine story. All three of these novellas traverse Harrison's familiar turf: the human relation to nature, how we live in it and consume it, how we believe we can rise above our natural urges and how often that makes us fools, and how nature's mortal effects on humans always win in the end. What did you think of The Ancient Minstrel?